I was surprised to get an email from reporter, Linda Wilson Fuoco, from the Pittsburgh Post-Gazette Pet Tales column, who wanted to feature Tika’s story. Here’s the link, which includes information about Tika being featured on a sympathy card. $2 will be donated through the end of April to the two shelters Tika was connected with by talented artist, Bernadette Kazmarski, as part of my memorial tribute to Tika. The card under it, which was art inspired by my CD, is part of the memorial donation too. 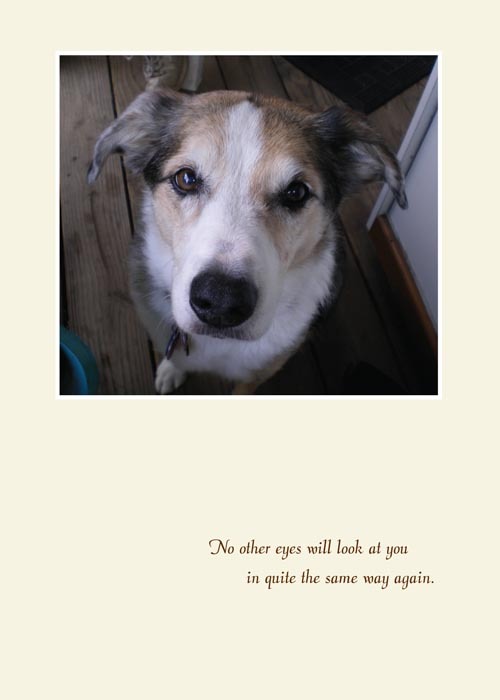 Here’s the direct link to Tika’s sympathy card.